PROFESSIONALS looking to pursue careers abroad have identified Singapore as their top destination in Asia, according to new survey results. Singapore came in seventh on global recruitment firm Hydrogen Group's rankings of the most popular destinations for global professionals. The Republic came in ahead of the United Arab Emirates (eighth), Hong Kong (11th), and China (12th), the only other Asian locations which made the list of 15. The results, released last week, were based on an online survey conducted last November, generating 2,444 responses from 99 destinations. Globally, the rankings were topped by English-speaking countries - the United States was No. 1, followed by Britain, Australia, Switzerland and Canada. 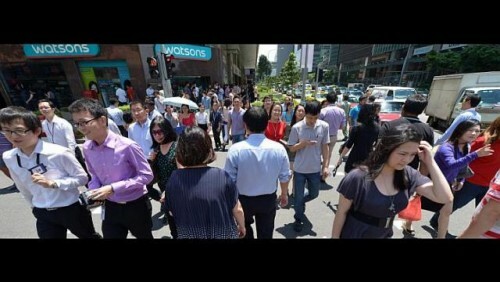 Three per cent of survey respondents said Singapore was their top choice globally, the survey found. This was similar to the percentage who picked San Francisco and Zurich as their favourite cities to relocate to. London was the favourite city, ranked No. 1 by 14 per cent of respondents, twice as many as New York City, which ranked second. The survey found that one in five respondents had no city preference and were willing to go where the job opportunities existed, suggesting that "the desire to be in one particular location is secondary to gaining the right international role", the report said. The report also highlighted a segment of respondents who have returned to their home countries from a stint working abroad. This group is increasingly important to a number of Asian states - including Singapore - where governments have been tightening job markets to favour local talent and reduce reliance on expatriates, Hydrogen Group said. Singapore's main draw for global professionals is its status as a key economic hub in Asia, said Mr Toby Fowlston, the managing director of recruitment firm Robert Walters Singapore. However, manpower policies such as the upcoming Fair Consideration Framework are making it more challenging for companies to bring in global talent. "Companies are now more geared towards attracting local talent here in Singapore, or Singapore talent returning from overseas," said Mr Fowlston.